After I published my race recap on the A1A 5k in February 2018, I went to the My Races page here at HtGR and opened the chapter on 2018. I titled it The Year of the Comeback. I wrote that annotation with fingers crossed; my stubborn optimism in putting it out to the universe was intentional. I really felt if I kept that title in my sights, then surely 2018 wouldn't fail me as 2017 had. 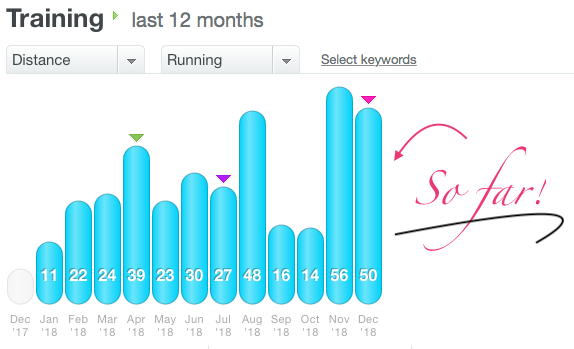 As of December 24, I've run 358 miles in 2018; in 2017, I ran 186. This past year was truly a year of comebacks. It was a year of progress, growth, recovery, strength, and renewal. In many ways, it was a year of rediscovery. 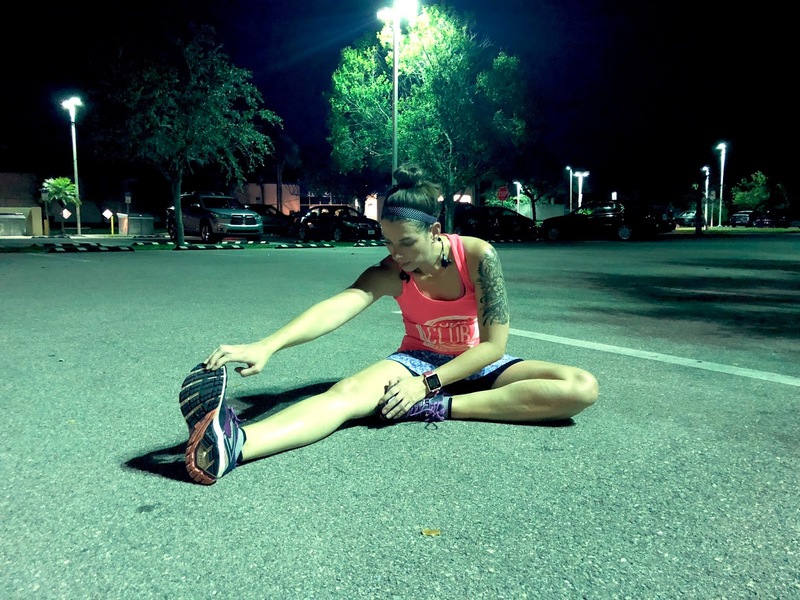 I felt like two people at times, both an experienced runner and a newbie, fresh to the sport. And overall, it was certainly a satisfying and gratifying year. 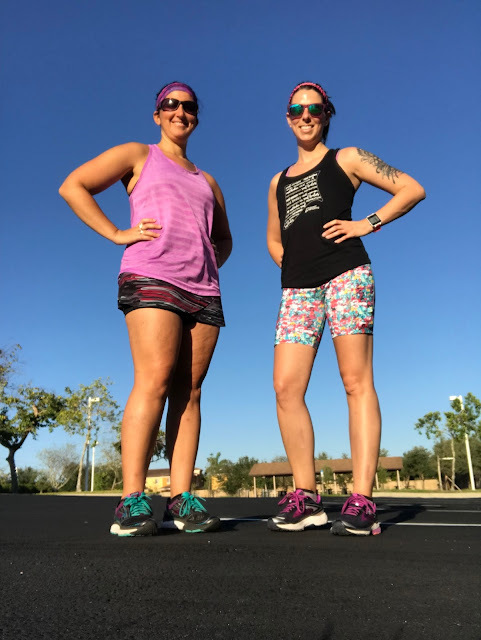 I took inspiration and motivation from my online running groups again, which I had shut out a little into 2017 because it hurt to see so much running success when I was injured. 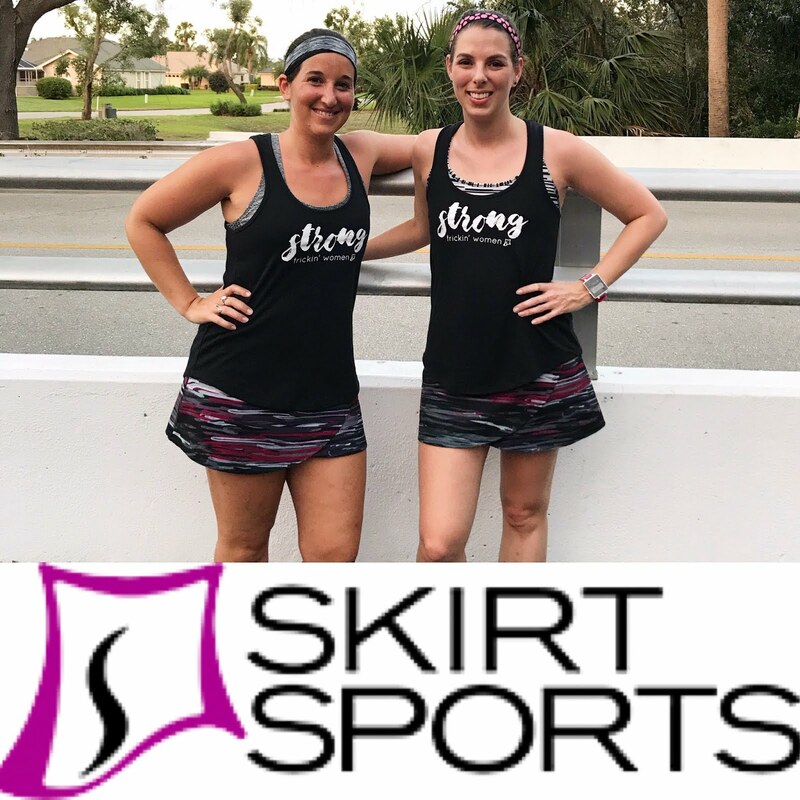 The Sub 30 Club, my fellow bloggers, and especially the Skirt Sports sisterhood have given me more than they can know. To look at miles-run or paces-met would be silly. This year can't be quantified by data so easily. This was a year of feeling. Of getting back in tune with my body and mind. Of indulging in what felt good instead of what a plan or schedule dictated. It was a year of getting back to basics. I tested my limits. I took risks and faced fears. I surprised myself. How does one write a year in review for a year such as this? January: I started the year with a mindset to hit restart. I considered the end of 2017 to be the end of a Part I of my running "career"; 2018 began Part II. My first run back after my second surgery, I was scared to run alone but neither did I want to run with someone. I remember how nervous I was, because I felt at the edge of a precipice. There was nothing else standing in my way at this point; I'd had both surgeries and was done with PT. I had nowhere to go but up, but I was terrified I'd fail. Of course, the run ended up being one of pure, unadulterated joy. February: February was a huge month for me. I felt very much how I did as a brand new runner, scared to run alone and unsure of how much my body could handle. I was finding my legs and my confidence again. But this was the month I ran 3 miles for the first time since my surgeries, and of course my first race back. 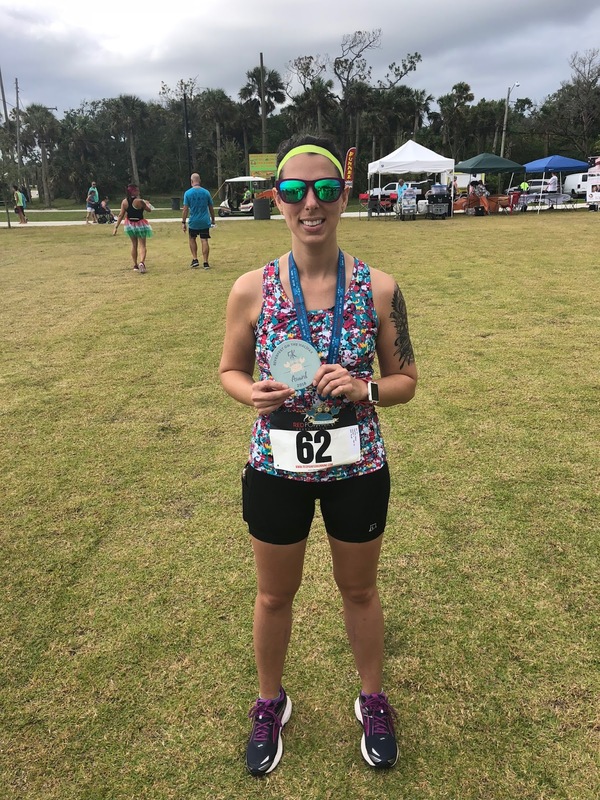 My goal was for A1A to be my comeback 5k, and I meeting that goal was surreal. It marked a strong start to the new year. In December 2017 I told my PT my goal was to run/walk a 5k in February 2018. And I did. 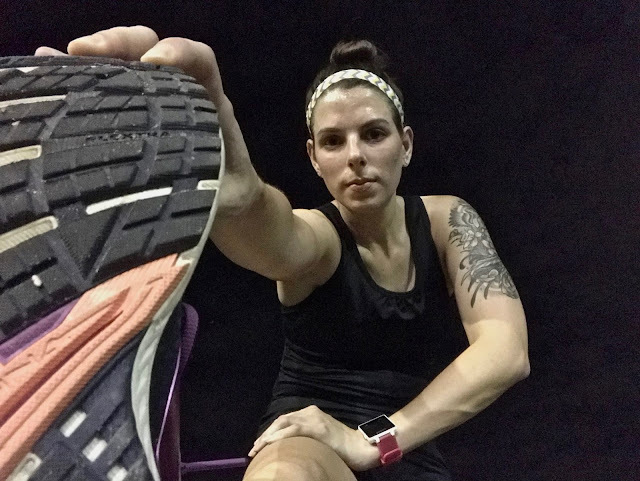 March: I spent a lot of time this year reflecting on why I run and what running means to me now. Rereading that post is especially poignant nine months later. My mind has changed and grown even since writing it. Another highlight from March was finally getting my second tattoo, and embracing growing stronger from setbacks and defeats. 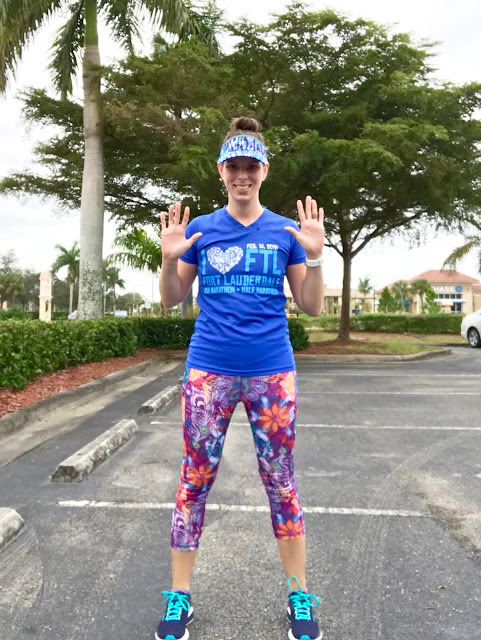 April: I faced my fear and ran the bridge for the first time since I began noticing symptoms of compartment syndrome. I am so glad I had Elizabeth there to encourage me and push me out of my comfort zone. May: I ran the Halifax 5k, which meant conquering another giant bridge, and placed 2nd in my age group. I still reread this post with a sense of disbelief. The rate of my recovery and bounce-back was unfathomable. After a full year of injury, I could hardly believe I was not only running, but running well. Although it's something different, a personal favorite from May is an original poem. This year was truly about regeneration and transformation. June: My highlight for June is a little different. I introduced Pudge and Elizabeth and I began running as a trio! July: My entire vacation series of our trip to Seattle and Vancouver for Scott and Robby's wedding! I am a homebody and Matt and I rarely travel, but I used to love it. This trip reminded me how much I love traveling and getting outside my comfort zone...with a little encouragement, of course. August & September: In late summer and early fall, I began to feel conflicted about my progress. I was enjoying running for fun, but felt ready physically to get serious about training for something. Mentally, I wasn't sure I was there yet. 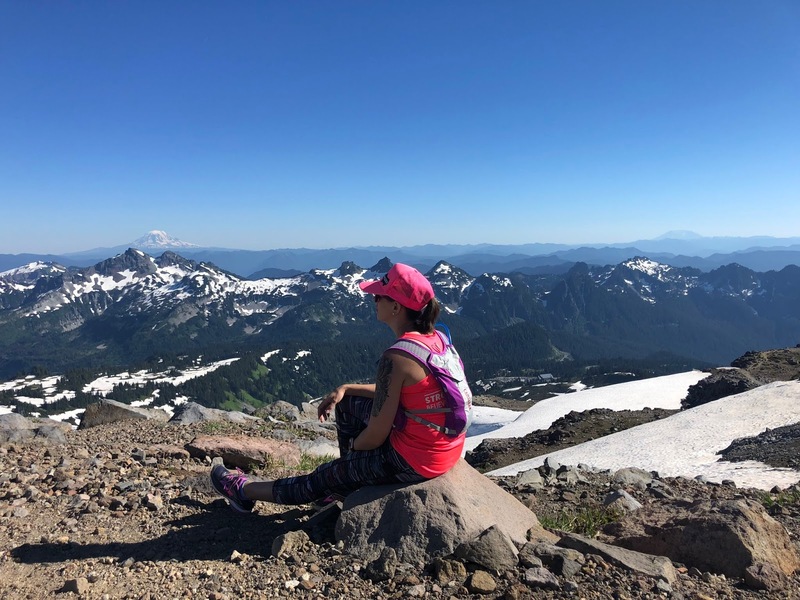 I came to the realization that my body was truly recovered and I was ready to start adding distance and training for a longer race if I chose, but wasn't ready to pull the trigger. And, on the tail end of that realization, I did my first monthly review in a year and was shocked to see I'd steadily been building mileage. 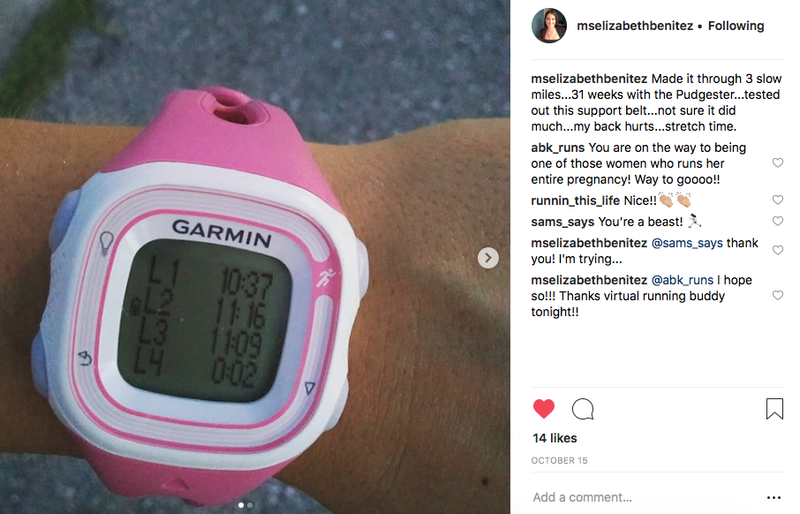 October: I got the best news ever and suddenly was no longer conflicted about starting a training plan! 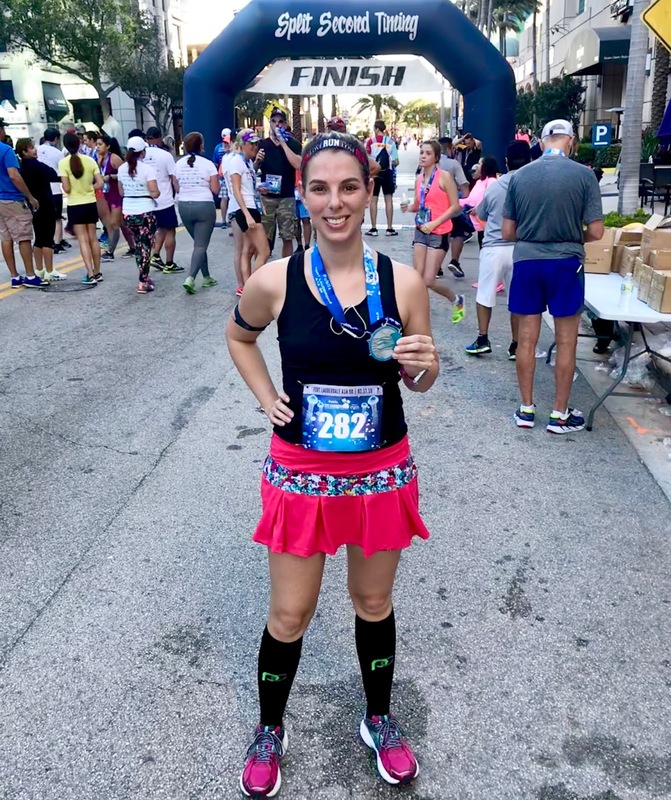 I signed up for my favorite race, my dream comeback half marathon, the A1A half! 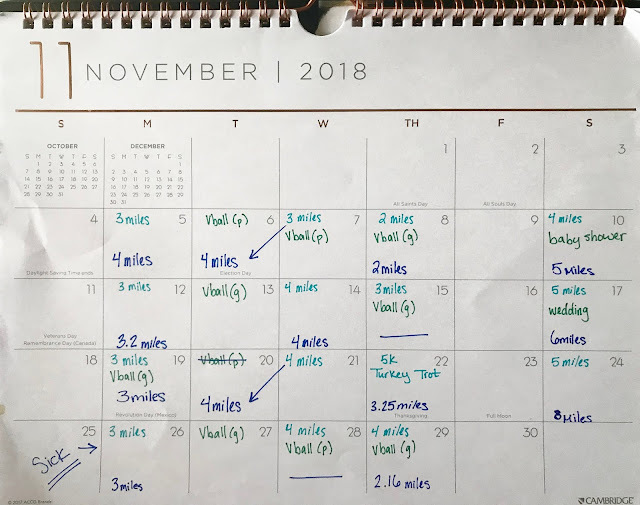 November: In November, I officially started training for said race! It had been so long and training felt so good. I got to create my plan and bask in the motivation that comes with the early stages of a training cycle. And best of all, I got to run my first long runs in ages! Running long gave my body the chance to remind my brain that it knows what it's doing. I fell into the habit easily. It was like being welcomed home. December: The last month of the year was a month of coming up against some setbacks and overcoming them gracefully and with determination. I didn't let an extended cold and its interruption of my training throw me off. Likewise for a very busy volleyball season. I had a few runs that truly felt magical. 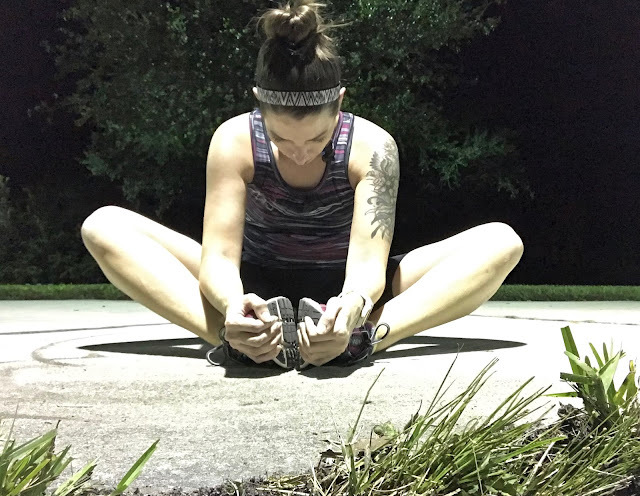 I realized that my mindset now is unlike any I've ever had when it comes to running. In December, I also ran my first double-digit run since February 2017. When I started running, most of my accomplishments were externally motivated. Even when running alone, I always knew there would be someone to tell me good job and offer praise. I even started this blog hoping a public forum like this would keep me moving. I needed the races and the medals to stay on track. I really think a year of injury broke that habit, and this year of recovery has changed me. The symptoms, diagnosis, and treatment for compartment syndrome in 2017 brought me face-to-face with how much this sport had changed me and become part of my identity (sometimes to a worrisome degree); 2018 has given me a chance to start over with a healthier mindset, more confidence, and a stronger body that I know can do hard things. Running is all shiny and new again, and I am too. Saturday morning, I ran 10 miles. This is the first time I've run double-digits since February 2017, and it's my first 10-miler of half marathon training. On my training plan, I didn't schedule 10 miles until late January, but Saturday morning I just felt like today is the day. I had 7 miles on my schedule, but knowing that I will likely miss my next long run due to holiday plans, it seemed like this was a good time to take a risk and push myself. I honestly wasn't sure how the run would go. So far I've gone up to 8 miles in training and felt fantastic the entire time. When I drove to the start of my run, I realized I really didn't want to run the route I had planned. I got back in the car and drove to a different spot, so I started the run about 20 minutes late, but the weather was perfect for a late start, so it was okay. At mile 6.5 I began to eat a cherry lime Gu, and kind of ate it in nibbles until mile 8.5 or so. I never felt starving, but the Gu definitely helped keep my energy up for the end of the run. Around mile 7 I started to feel bored and ready to be done - clearly I'm out of practice with running alone for long periods of time. At mile 8 I started in on the positive self-talk; I didn't want to take a walk break, but my hips and lungs were started to ache. I just kept repeating C'mon girl, you've got this in you. You're gonna run 10 miles! Nice and steady! It was like I was urging on a horse. Except I didn't fall off at the end. At mile 9, I knew no matter what I'd succeed. My brain kind of turned off and I just sailed through the last mile. Anyway, at the end I was too tired and relieved to feel much excitement over the accomplishment, but after a shower and breakfast, the pride set in. How surreal and wonderful, to know I'm running long distances again! 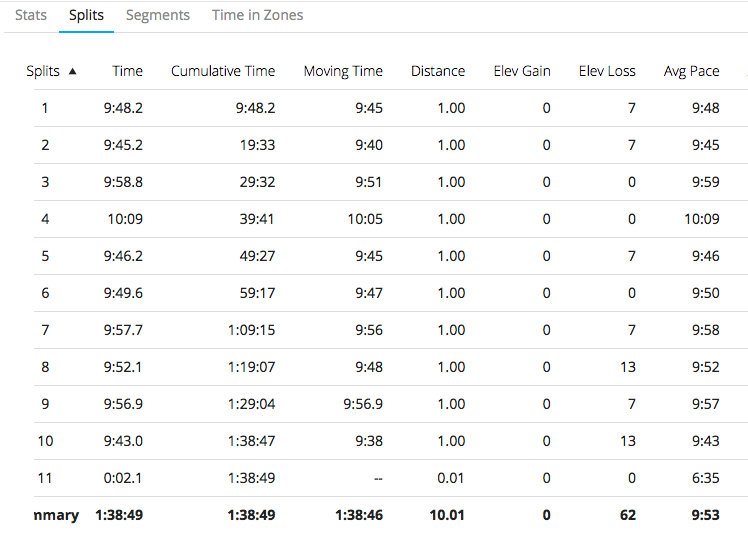 To know I did Saturday's run at a steady sub-10 pace and didn't take any walk breaks! To feel as strong as I do right now! 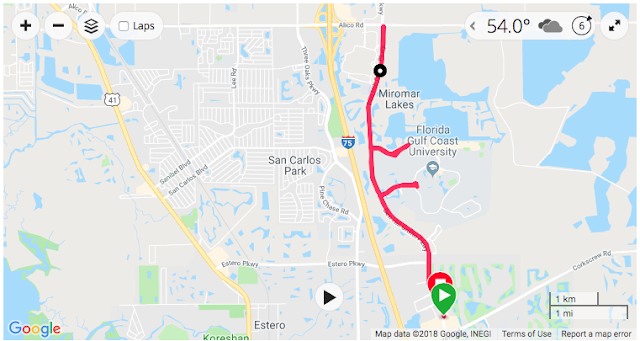 Mile 4 is an outlier because I was exploring a new area, so I think I slowed down a bit to keep my bearings, and then I texted Matt to let him know my ETA. 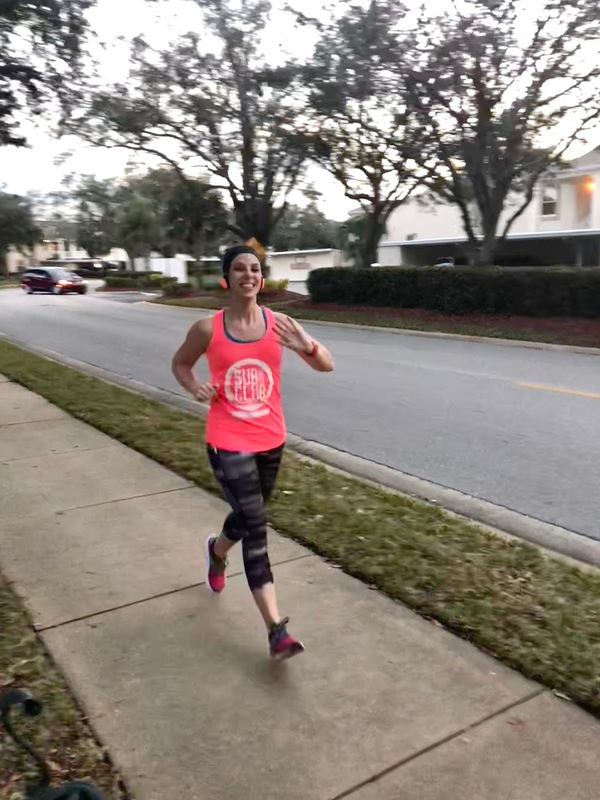 I feel lucky that we are finally getting an actual winter in Florida this year, because it's making training much easier. This run also makes last week the highest mileage training week I've had so far, because I ran two 5-milers, too. Although I've planned for four runs a week, I've pretty much scrapped my Thursday runs, which has allowed my legs to recover better for my long runs on Saturdays. I've always run best when I stick to three weekly runs and add a fourth only when it will really benefit me. With all the housework we've been doing lately (painting, culling, reorganizing) and school events, it makes sense to skip Thursdays most weeks. I'm adding a bit more mileage to the other two weekday runs, and that's been going well, too. I am trying to keep all my runs at a minimum of 5 miles as long as my legs recover nicely from my long runs. So that's it for plan adjustments! So far, so good. We'll see how things go as we get into the new year. A1A is just about 8 weeks away! My Running Buddy had a Baby! I know I posted some of this saga on Instagram, but I didn't put it here because I was waiting for Elizabeth and baby to be home safe. On the morning of November 27, Elizabeth texted me that she was on her way to the hospital. I am a very supportive and calming influence. Her due date was December 18, so all morning I was anxiously texting her for updates. 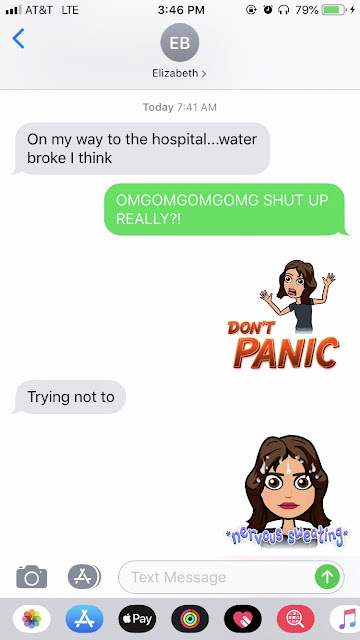 Before contractions and labor started, she was texting me about her annoyance that all her maternity plans for her sub - which she had spent so long preparing ahead of time - weren't planned to start 'til January. I was like, why are you thinking about that right now?! Around 2:30pm she texted me: "He's out!" Little Tristen Omari was born at 5lbs9oz. He had to spend a few weeks in NICU, at first on a respirator and feeding tube, but soon just on the feeding tube. They came home December 7. I had a bad cold, so I stayed away even though I wanted to visit first thing. I finally got to meet the little bean last Thursday, when I drove Steybi home from school! He is smaller than I imagined, and so cute. He slept the entire time I visited. Elizabeth is doing well. Her labor progressed so quickly that she didn't have time for medication, and she hasn't needed any pain killers during recovery, either. Tristen is sleeping all day and up all night, so she's exhausted, but otherwise doing well. The whole family is adjusting nicely, and I am over the moon! Lately I've been feeling like I'm actually a different person than I was before my surgeries. It's as if running has been stripped back down to basics, and everything feels good as a result. I honestly can't remember any time in the past that five miles felt like it could be my new baseline. It was three for a long time, and then four - and four felt like an accomplishment. Any distance over four felt hard-earned. Any distance over four was a long run. I can't explain it. Friday's run felt like homecoming. My body just loved the run. It felt fluid. It felt meant to be. And I was going to make a big deal about it, but then I realized I've been having this feeling on all my runs since early November. Like my body just knows what to do. Every run feels like homecoming. Is it residual gratitude over being able to run again? Is it the cooler weather? Is it the fact that the race I'm training for is my favorite race? I can't say for sure. But I know this: something has clicked into place for the first time in ages, maybe the first time ever, and running feels like a friend welcoming me home. I've had a total of three Garmin watches and none of them came to me brand new. The first, a Forerunner 410, was a hand-me-down from a friend in the Sub-30 Club who knew I was looking for a GPS watch but wasn't sure what I'd like. He was upgrading and sent me the FR410. 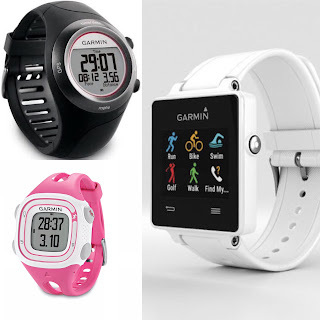 It turned out to be a little more watch than I needed at that point in time (I didn't even know Garmin Connect existed or how to look at data), and I started looking for a different one about a year later. My second Garmin was a gently used Forerunner 10 from another Sub-30 friend that was more my speed and served me well. At the time, I was still using the Nike+ app, but it began to get really screwy. Once it flaked out on me mid-race, I decided to give up the app and go full-Garmin. However, once I made that switch, I soon realized the FR10 wasn't quite enough for marathon training, and I started to look for an upgrade. That upgrade came in the form of Kristina's old Vivoactive. It's just been good luck that every time I look to get a new watch, a friend is also in the market and is kind enough to pass one on to me. The Vivoactive has truly served me well these past two years, but with my new legs and my running mindset, I felt it was time for a new watch, too. 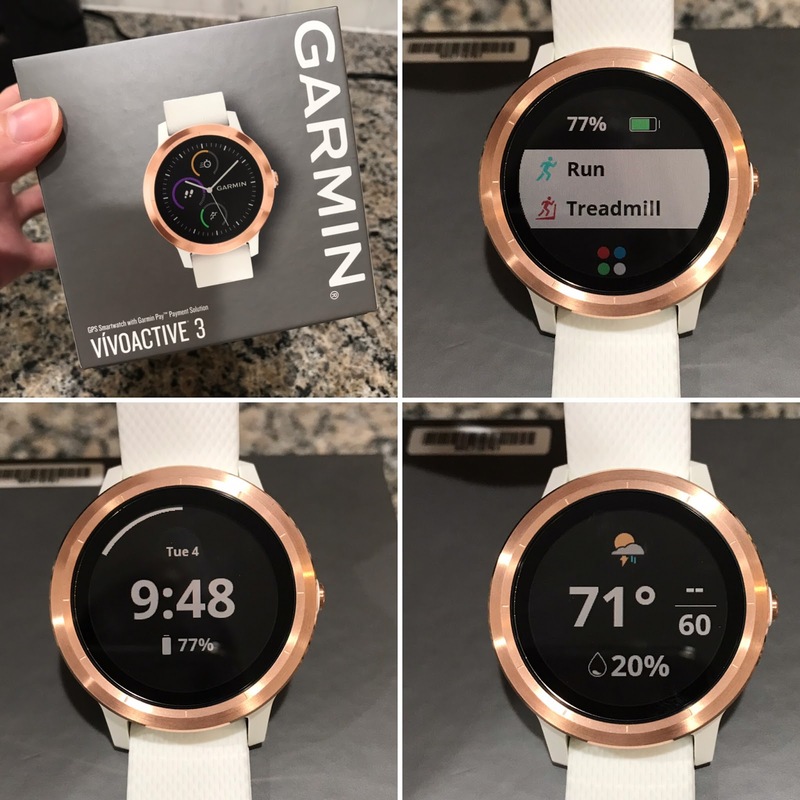 The VA was the first Garmin I truly felt 100% comfortable and happy with. 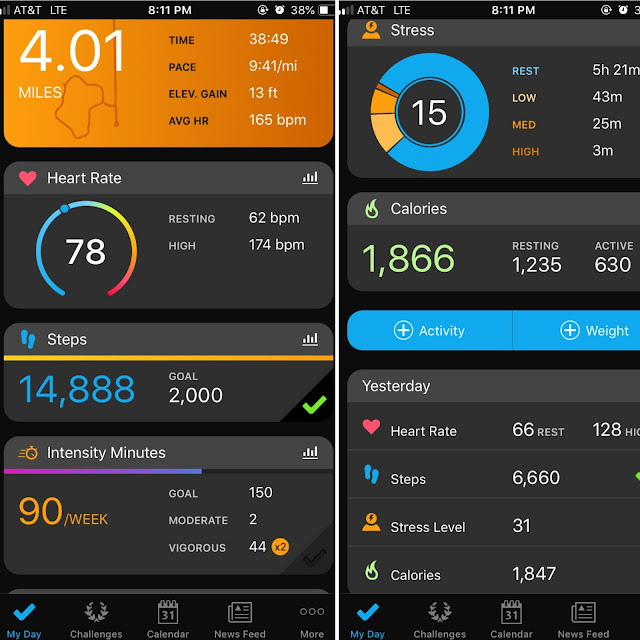 It helped me get used to running with a watch instead of an app. Now, I always return the favor of passing along my old watches. The FR410 went to Matt before he started using a Speed Coach, a dedicated device meant for paddling craft. The FR10 went to Elizabeth so she could track her distance when we weren't running together. And the Vivoactive will go to my brother, who has taken up kayaking and has started using Strava to track his miles, but is in need of a GPS watch. 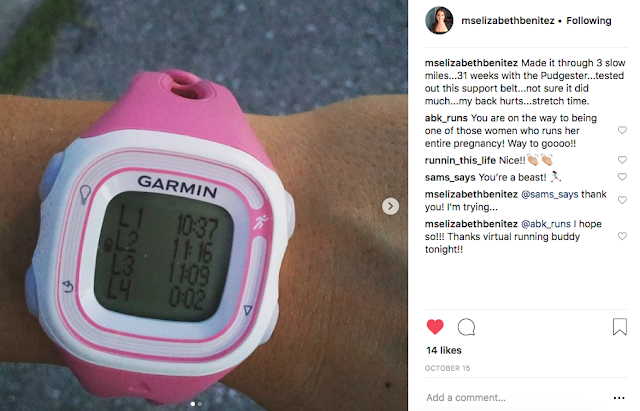 Elizabeth used the FR 10 well into her pregnancy! Why can I now pass on the Vivoactive? 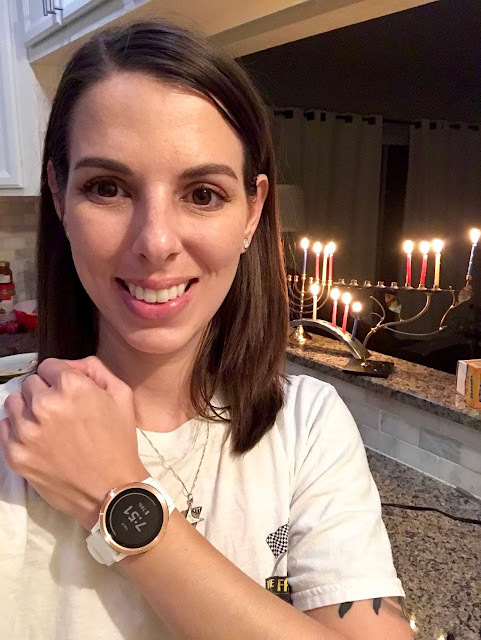 Because for Hanukkah this year, Matt got me an ACTUALLY brand new Vivoactive 3. 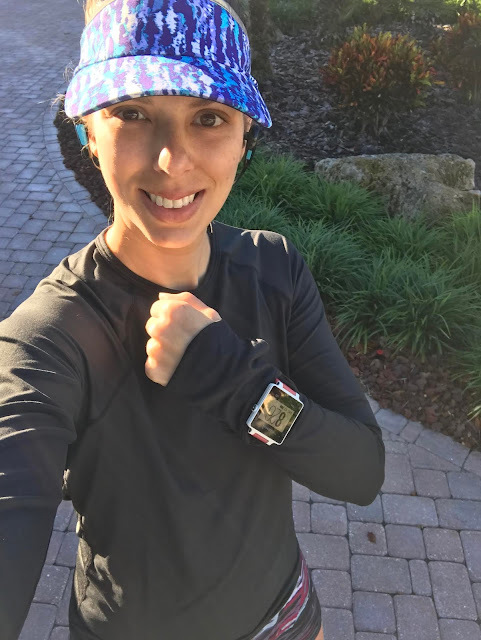 My secondhand watches have always worked just fine, and I am grateful that I've been able to test out a few different iterations without committing to an expensive watch all this time...But I am so excited to now have a brand new Garmin of my choosing! Yes, we are using all three menorahs this year. I chose the VA3 because I liked the touchscreen on the VA, it's loaded with all kinds of features, and it's a smartwatch (not just a running watch). I'm thinking it may replace my Apple Watch completely. I was worried it would take awhile to get used to some of the features, but after about 15 minutes of playing with it, I've got most of it figured out. Wednesday I went for my first run with the new watch and I am in love. The screen is so easy to read! The data fields are so easy to program! This is my first watch with a built in HR monitor, so my dashboard not only shows my run data, but also my heart rate and stress level, among other things. In theory, I could start training using my VO2 max! Some shots of the Garmin Connect app dashboard with all the new data available. I like the weekly Intensity Minutes goal, too. It's super lightweight and soft. Like, weirdly soft. The band is unlike anything I've ever worn on my wrist before. I've never had such a comfortable watch! Basically, I am 100% happy with it, and for my first official new GPS watch, I feel like I couldn't have made a better choice! At the beginning of November, as I started half marathon training, I was so excited to know I'd be writing a month-in-review post. At the beginning of this week, though, that excitement turned to frustration and disappointment. I'm the kind of sick that can't be run through. And that means my last week of my first month of training - which was supposed to be a crowning glory week - was a total bust. I am trying to remember two things as I sit down to write this with tissues, tea, and albuterol on hand: as far as motivation, consistency, and follow-through went, this month was perfect. As far as my legs, lungs, and body went, this month was perfect. I couldn't have asked for a better first month of training...so even though this week is a wash, I can look back on November with pride. I was on track to best my planned mileage, but that didn't end up happening. As you can see, I started off the first week extending almost every run. I wanted to see what my body could do, and the plan I wrote is very conservative all the way through February. I basically wrote a "just get it done" plan but want to see if I can train on an "actually run this race like a race" plan. The second week, I followed the weekday plan more closely but still built up mileage for the long run. I was really proud of myself for getting up early and doing these long runs by myself. It's been a long time since I've done that, and I forgot how amazing it makes you feel! Today I did my first morning long run of training. 🏃🏻‍♀️ I had forgotten all the perks of morning runs! 1. Waving to other runners who understand what it means to be up this early to run. 2. The slightly lower temp, even if the humidity is still brutal (72/96% when I started today) 3. Being done and having the rest of the day free. (Today is baby shower day!) 4. Proving to myself that I CAN do this and that I WILL do this. I didn't have a need to play with nutrition on any of my long runs; I brought food with me on my 8-miler but didn't stop to eat it. I was feeling so good, I was afraid to stop and drink/eat! I didn't want to mess up the roll I was on. Anyway, despite this last week being a bust, I have to be proud of this month. I managed to run even on days I thought I might skip because of volleyball, and I made adjustments as necessary without flaking out. I was also surprised and pleased by how steady I kept my paces on my long runs; I didn't need walk breaks on any of them. It's like my body remembers how to do this distance running thing! I am so looking forward to feeling better so I can be back on track ASAP. I'm upset that I missed my long run this weekend and I really don't want to miss next weekend's, too.